We are Houston's first and only dedicated immersive theatre company. Our mission is to create immersive experiences that tear down the traditional boundaries between performer and audience so both are free to live truthfully inside imaginary circumstances. We look forward to exploring new experiences with you. Strange Bird Immersive presents The Man From Beyond, an original story combining immersive theatre and an escape room. 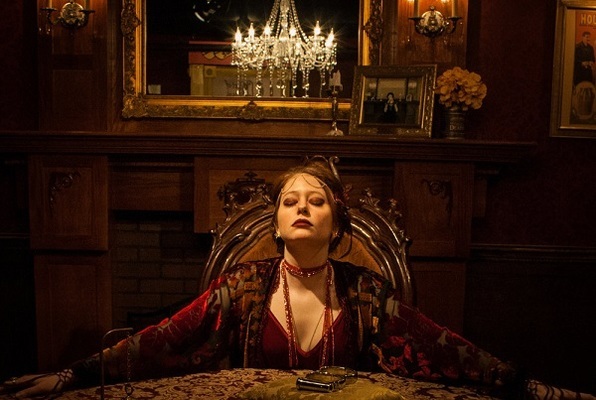 Last reviews of escape rooms by "Strange Bird Immersive"
From the moment you step into Madame Daphne's parlor, you are totally immersed in the world of extraordinary experiences! The combination of immersive theater and escape room clues, puzzles, and so much more is engaging and exciting. The interaction with other participants increases the fun...and a bit of competition. Going with friends is great. You're gonna be sorry if you miss this top-notch, sophisticated, creative approach to this particular genre. There is little I can say without spoiling this experience. AMAZING! BEAUTIFUL! EMOTIONAL! It stays with you after you leave. This is not just an escape room, this is immersive theater - do not come to this expecting just another live action point and click game, this is a STORY! Every single detail shows what a labor of love this is for them. This is easily the best immersive/puzzle experience I have ever played. The sincerity of the interpersonal moments, the design, the narrative, even the scented air... I will not soon forget this. What an amazing time - clever, varied puzzles, super-high production values, incredible emotion and humor. Damn. So good. The most immersive escape game I've ever played, with awesome actors and great story. Love all the actors in this game, really set you into a mood. The whole game feels like a piece of art, from beginning to the end. They utilized the space really well and achieved a lot within limited space. We played a lot of escape games and this one is unforgettable. We have been taken to a place that only the theatre and arts could take us too. Madame Daphne and Houdini will inspire you and take you into the magical beyond. What a magical way to begin New Years Eve! A must do interactive performance attraction in Houston! I have been in over 10 escape rooms now, and I can say with a certainty, nothing comes even close to this room. This isn't just about escaping the room, it's about following the story, immersing yourself into the theater production that's happening in front of you. This is nothing like any escape room you've done before, I promise. Not to mention that, unlike most of other escape rooms, it doesn't have just a bunch of lock with a linear way of solving the room, it's all custom made, with exceptional visual and sound affects. The puzzles are unique, and the story is incredible. One heads up though, don't bring anyone immature along, and don't go if you're ~14 with a bunch of you 14-year old friend. There's a reason why the age restriction is 16+.